Plus! ACE Direct subscribers are given priority so your act will be added fast! ACE Direct subscription is also currently on special offer for network partners. 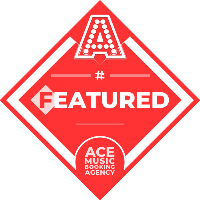 Get a free month as an ACE Direct subscriber by simply linking your website to ACE Music Booking Agency once you're a member of the ACE network. Tell us your website address once the button is live on your website and we'll upgrade your network membership to ACE Direct subscriber level including all benefits FREE for the first month after which regular subscription will apply unless cancelled. There is no minimum term or cancellation fee.